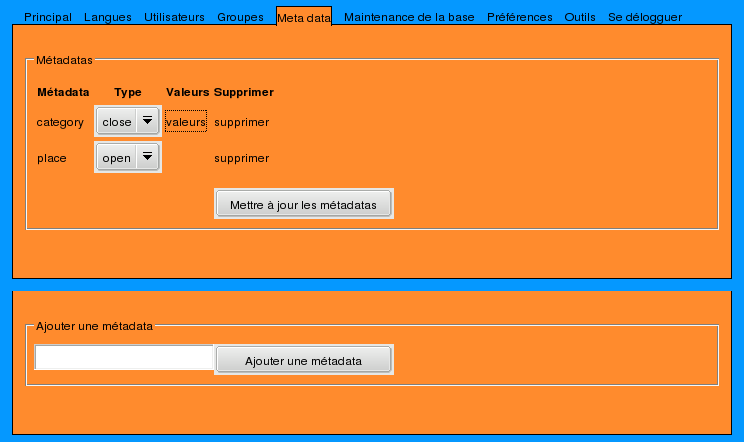 Metadatas allows you to add more informations to your pages. They are data that qualifies data. second one is named 'place' and is an open one. A close metadata means the administrator has decided to restrain the set of possible values to a predefined set. An open one means all values are possible. to add a new metadata, Use the empty input field. Click on the "add metadata" button when you're done. 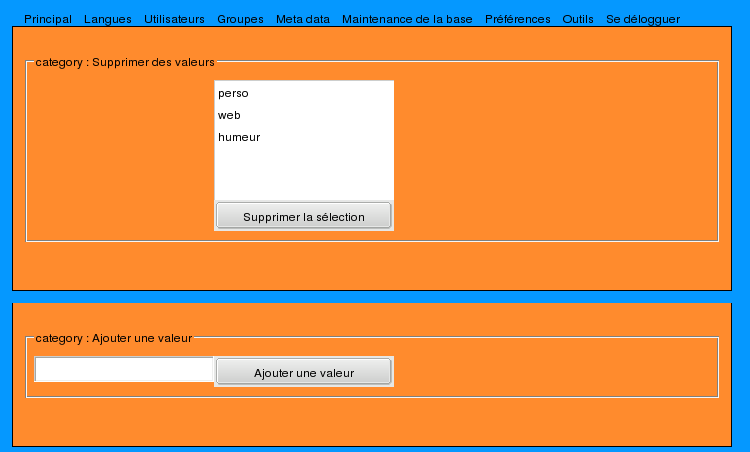 When you have defined a close metadata, you can also edit the set of possible values : click on the 'values' link. Use the input field to add a new value. Click on "Add value" button to add it.